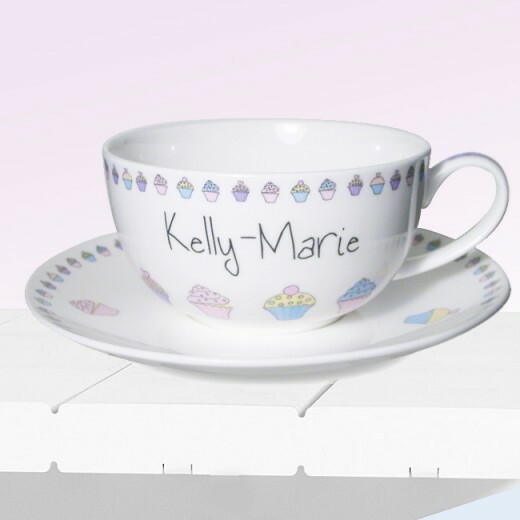 This funky large tea cup and saucer featuring a pretty cupcake design is the perfect gift for any tea drinker. Personalise with the recipient's name which will appear on the front of the teacup of up to 12 characters. 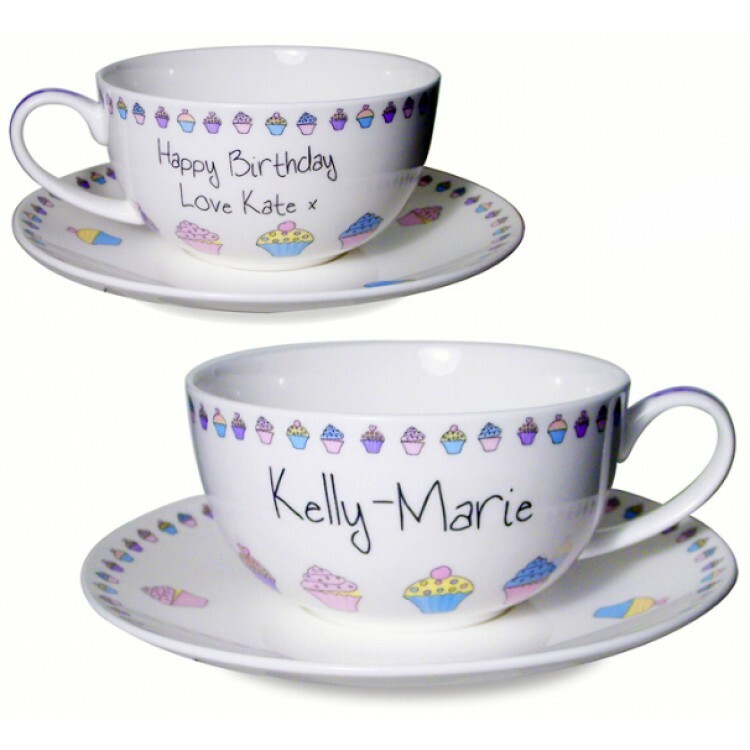 And you can also add a personal message which will appear on the reverse of the teacup over 2 lines. Each line can be up to 15 characters (including spaces and punctuation).